Legen… wait for it…. dary! Orange Loot! Not purple epics… Orange Legendary! Now that we know through many sources that Val’anyr is going to be a Legendary Healer Mace, many guilds need to start thinking about how to distribute this mace. When deciding if you are going to use a /random 100, lifetime DKP totals, pure DKP, or loot council, here are some considerations your guild should weigh while making the decision. Attendance – Not only because Val’anyr is a legendary item, so you want a person who will be using it often, but also due to the fact that it requires 30 Fragments of Val’anyr. What you don’t want is the person who is getting it to be missing Fragments because they missed a bunch of raids, so you then have 2-3 people with 10 Fragments each, which is a major waste. 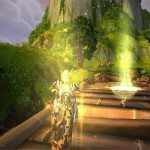 Flight Risk – You don’t want the person who gets the mace to be a major flight risk and take all your guild’s hard work off server or to a competing guild. Skill – this is a tough one, and can have some political issues when evaluating. You generally want the skill of the player to be reflected in the use. Don’t assign the mace to your highest attending person, especially if they aren’t a very strong player. Attendance is greater than skill. The equip effect of Val’anyr gives a 10% proc chance to apply a buff to yourself, that allows you to heal and create shields. Very much like the Disc Priest Divine Aegis. The equip effect clearly states: “Your healing spells have a chance to cause Blessing of Ancient Kings for 15 seconds allowing your heals to shield the target absorbing damage equal to 15% of the amount healed.” This means the proc, in all likelihood, will be triggered by direct heals AND heal over time spells. The question that remains is: is there a specific class that dramatically benefits over another? Dramatically? No. However the synergies that exist with some classes/specs do exist. Pallies are traditionally a Main Tank healer, and if they can be aware of the Proc can provide good shielding by chaining big heals and high HPS during the proc. Shamans and Druids have Swiftmend or Riptide to have a surge of healing coming in during the 15 second buff as well as decent direct heal options to help maximize the shield created. And priests, especially Disc have naturally spec’d talents and spells that operate similarly such as PW:Shield, Aegis, and a fast big heal (Penance or a Serendipitous GHeal). Throughput considerations, ultimately, come back to the player not the class. 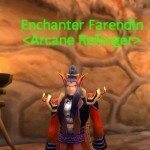 Will the PLAYER be able to respond to the proc? Will that druid be able to react to the proc and use Swiftmend and get a big sheild up. Will that pally be able to squeeze in that Holy Shock with 1 second left on the buff and get a little bit more healing in? Will that Priest chain a PW: Shield on the target? Will the shaman stop casting Chain Heal and move to Direct Heals? Bring the player – not the class. At the end of the day your guild will need to decide who will get your guild’s first Val’anyr. It is not an easy question to answer, but with some though, preparation, and hopefully not too many upset raiders… your guild will have a good augmentation to your healing team. Don’t forget, loot is just loot, but your healing teams strength should be the ultimate goal here. 3.1 Specs – What Are You Doing? PTR Trinkets, Trinkets, and More Trinkets! !